I get excited when a well-known brand has a collaboration with an equally well-know brand. Infusion of two beautiful aesthetics and excellent quality are expected for a partnership like this and I’m happy to report that there’s one between beauty brand Laneige and fashion brand PlayNoMore. Laneige meets fashion again! And this time, they’ve teamed up with PlayNoMore, an apparel brand that has rocked the K-Pop world. Laneige Meets Fashion is a project that embodies the ambitious vision of the brand to lead makeup trends through beauty and fashion making them forever entangled. 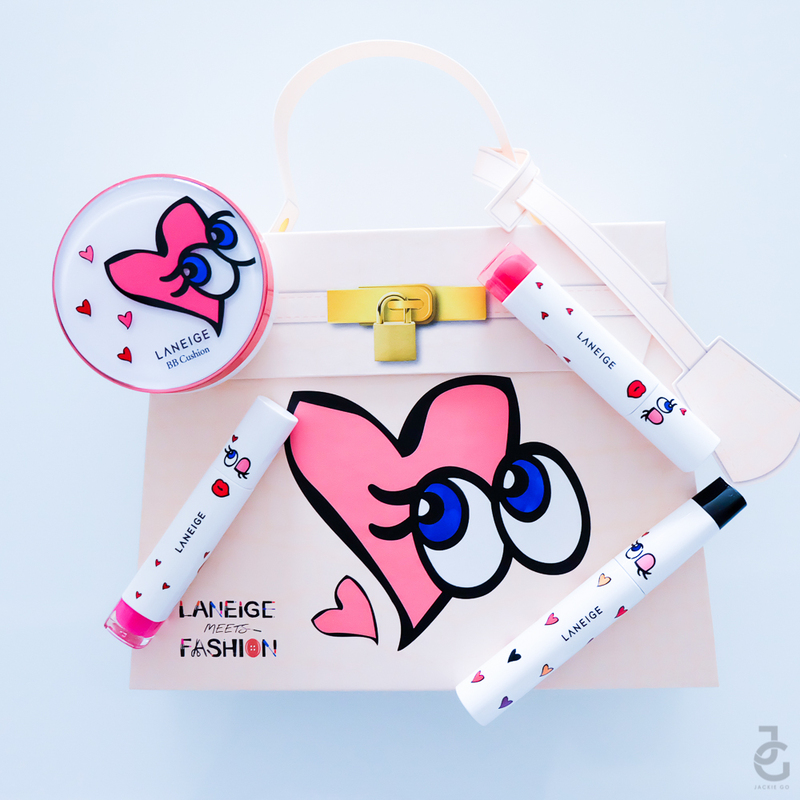 Laneige X PlayNoMore comes in a cute box that’s similar to a ShyGirl bag. PlayNoMore is an apparel brand that is best known for its creative, witty, and definitive style. 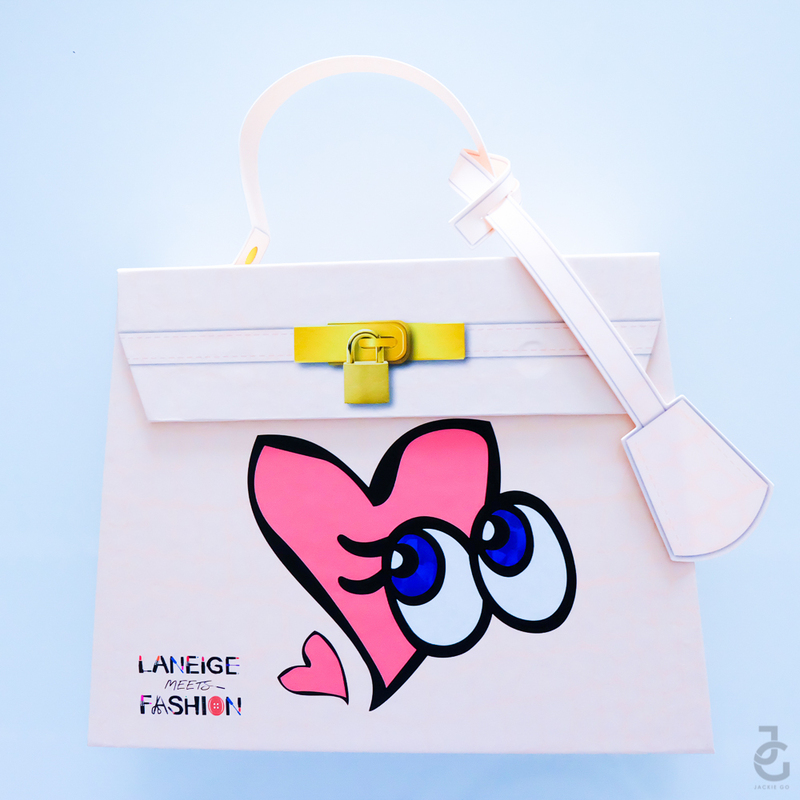 It’s signature item, the ShyGirl bag has a logo of a cute pair of blue eyes. The logo now named as “my Darling ShyGirl” with curious yet shy eyes partnered with vivid pink heart symbol is really becoming an icon that trendsetters have come to know. 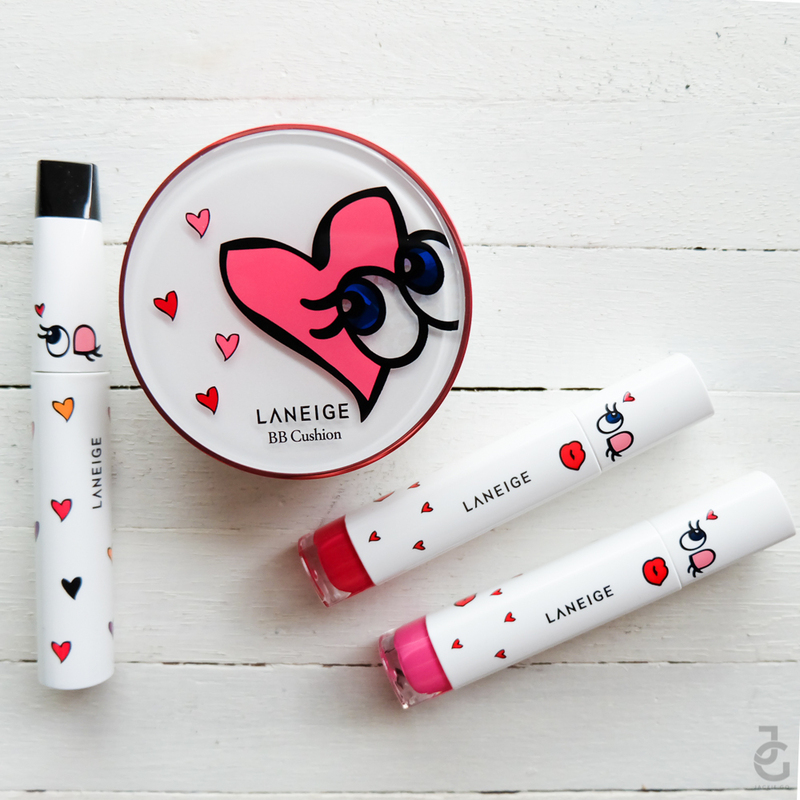 The kit includes LaneigexPlayNoMore Jet Curling Mascara, BB Cushion, and two Intense Lip Gels. 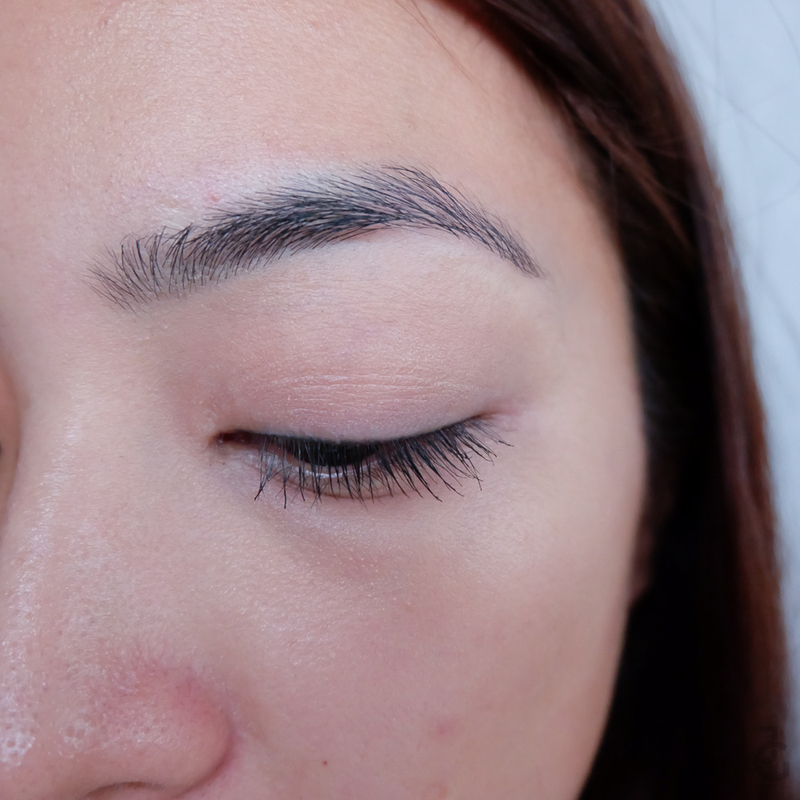 I was able to test out these cuties over the weekend and here are my thoughts about them. 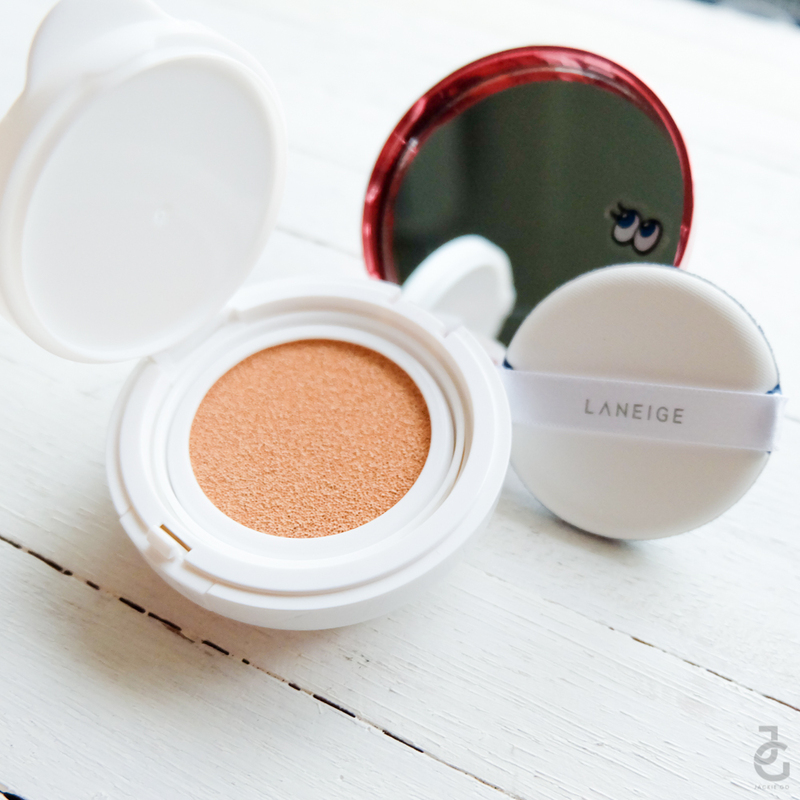 Laneige BB Cushion is a unique compact formulated with Melacrusher™ Technology to brighten the skin tone, protect the sun from harmful UV rays (SPF 50), soothe skin with its Ion mineral water content and has sweat-proof properties for long-lasting coverage. I’ve read a few reviews about this wonderful product and one of my favourites is Marj’s review of it. They say it gives a dewy finish on one’s skin. Because dewy skin is something I really want to achieve, I didn’t hesitate and immediately tried it, despite it not being my shade. The compact comes with a sponge and the BB is cushioned within a sponge. All I needed was one pat to cover my left eye area. I like how it evens out my skin tone without being too heavy on my skin. Immediately, I noticed how it instantly brightened my skin. Though it gives that dewy effect, I find the creamy consistency a tad bit sticky. 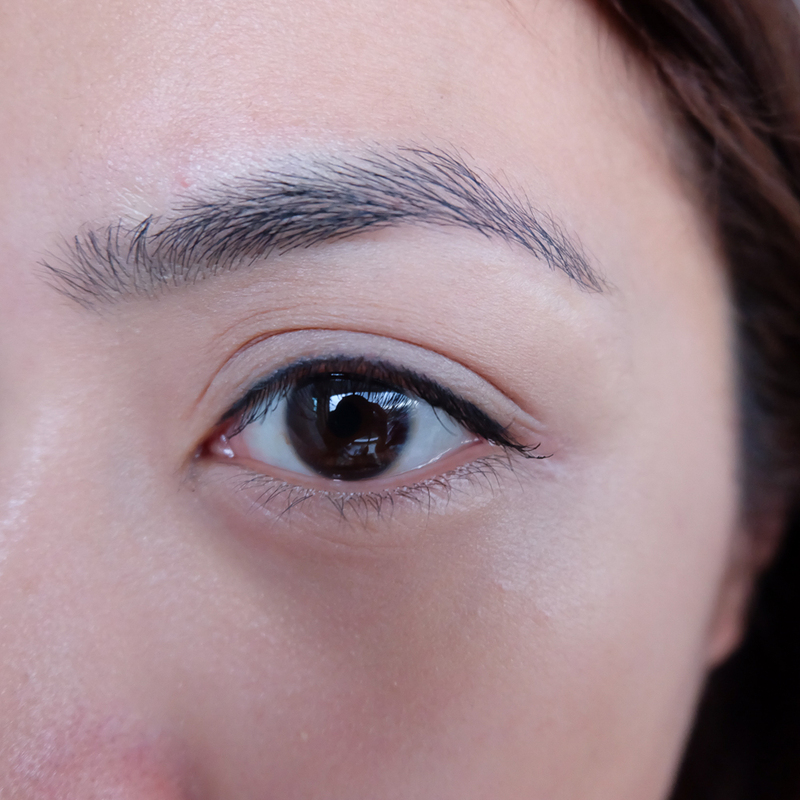 But overall, I think this is a perfect base for girls who want that flawless look without having to pile on foundation. Now, I am tempted to buy a BB Cushion in my shade so I can apply it all over my face and test it out for hours. The jelly rubber brush is flexible (use it vertically or horizontally) making mascara application easy. 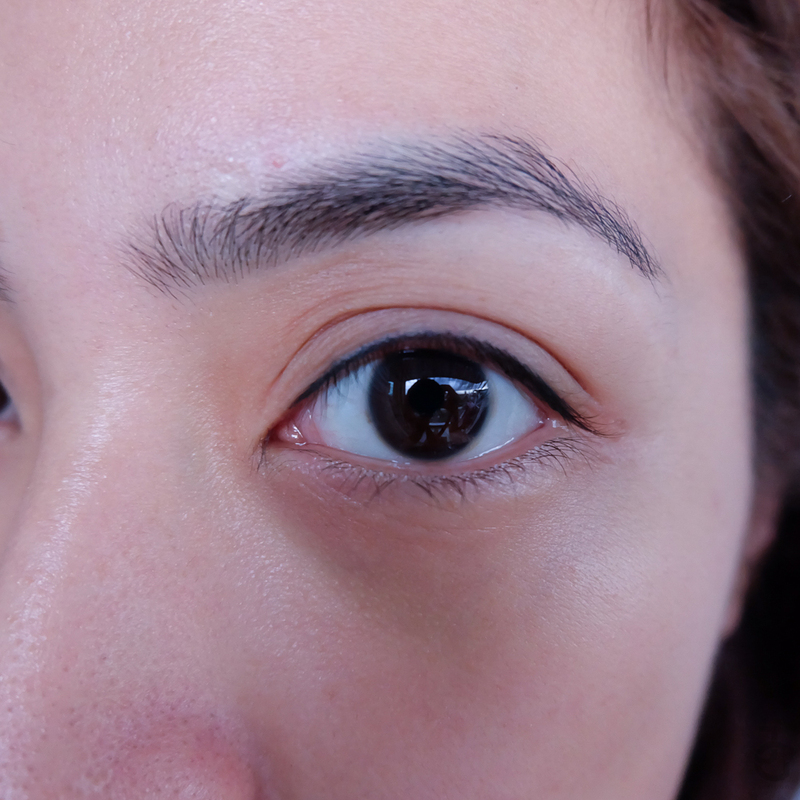 The air gel formula of the mascara that is called Water Zero, is said to deliver faster fitting powers to the lashes, smoother application and intense color – by the looks of it, the jet black color is promising. I didn’t curl my lashes because I want to see how it is as is. 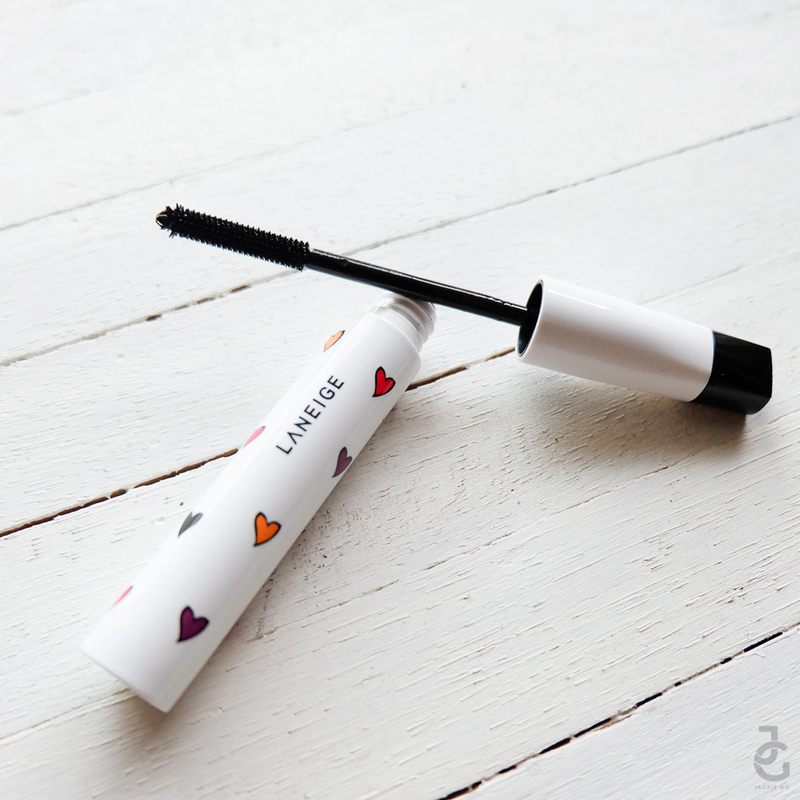 I figured it lengthens more than volumizes the lashes. 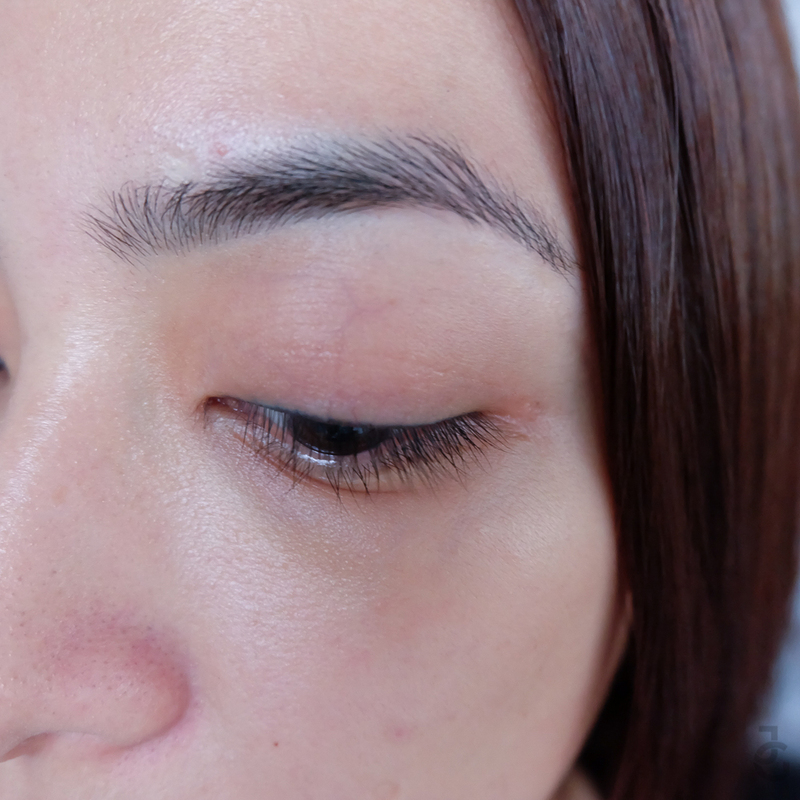 See how it defined my lashes with just one coat? I have yet to try how it will fair with my lashes curled. Follow me on Snapchat: @gojackiego to see if it’ll help my lashes stay curled or will it lengthen and straighten it instead. Intense Lip Gel, P1,100 each. 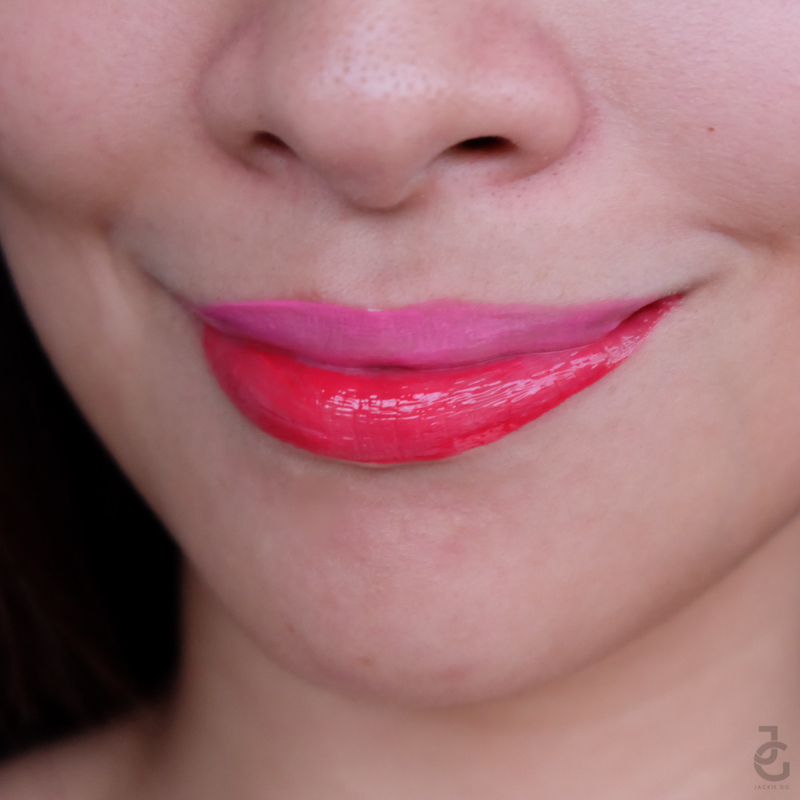 If you want intense lip color without the heavy feeling of lipstick then this one’s for you. 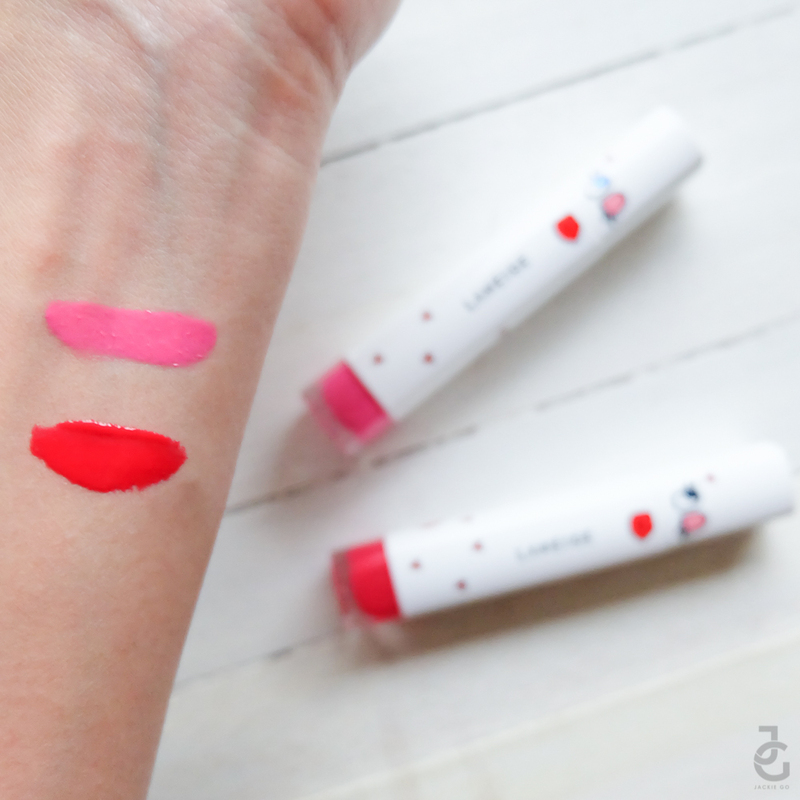 True to its name, this lip gel really provides vivid color payoff. It has 10 colours to choose from & I was able to try two. Both shades I believe will work well with any skin tone. 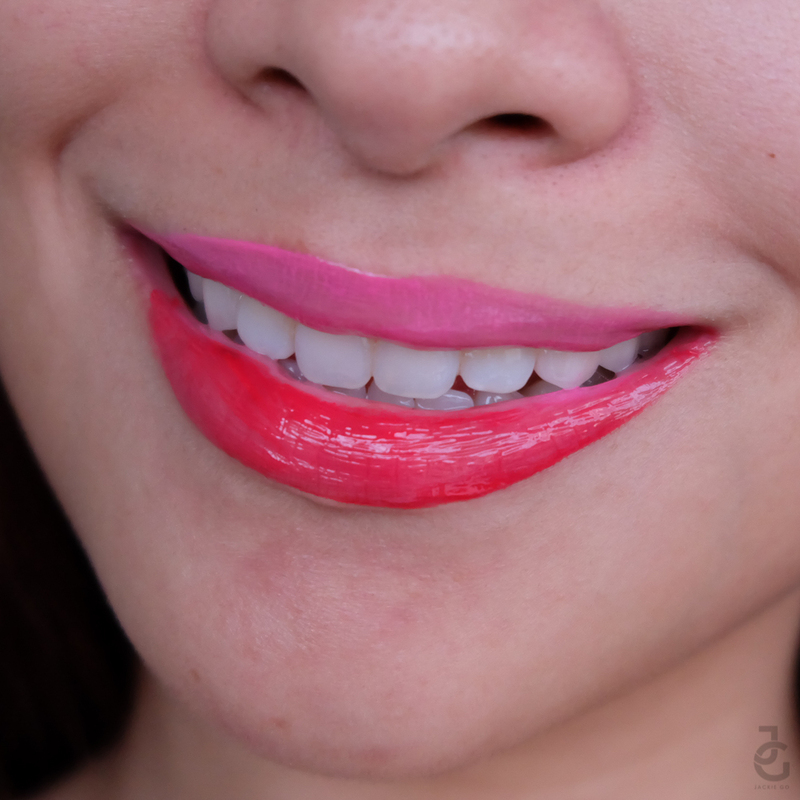 The pink is soft while the red isn’t as intense and can be worn even on day time. The intense lip gel gives a look that as if gel nail polish is applied on the lips- high gloss, high coloration and high moisture. I’m not fan of gloss because for some reason, it tends bleed around my lips – I know it’s weird but I always end up having gloss elsewhere but my lips. 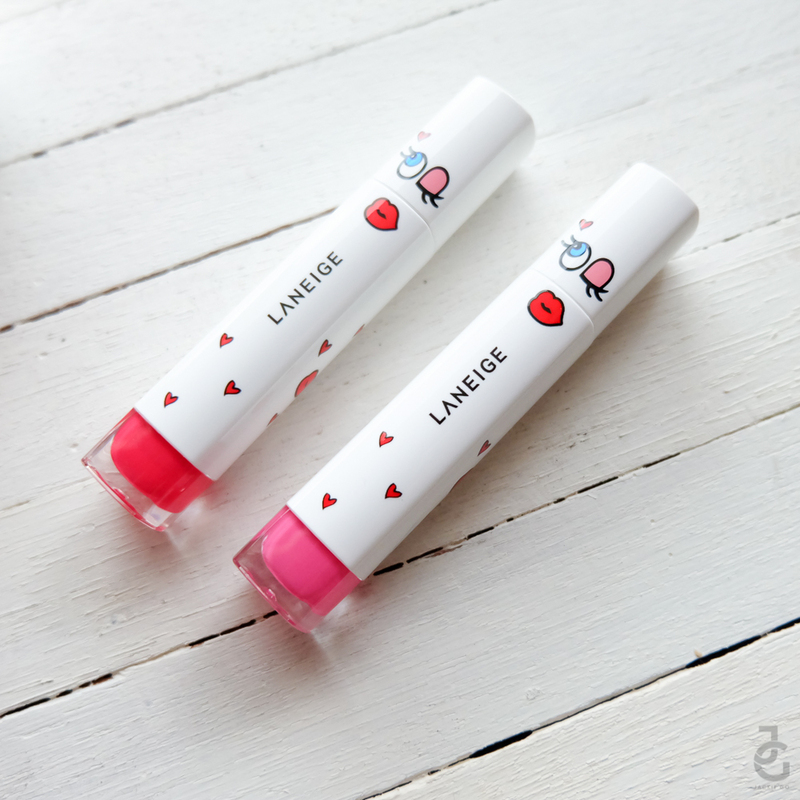 With Laneige Intense Lip Gel, it was the opposite. It remained on my lips for hours and it was so light. There’s no icky and sticky feel. Lil’ Ms. JG even had to point out that I was wearing two different lip colors before I realize I was wearing them. Heehee. Laneige x PlayNoMore is now available at Laneige boutiques. What are you most excited to try from the #LaneigeXPlayNoMore limited edition collection?